All in the name of the being they serve. All in the name of the Dead King. "The beauty of John Connolly's Charlie Parker novels is how the characters continue to evolve." "John Connolly is one of the best writers working today . . . A Time of Torment may be his best work to date. And that is no small feat." "The Charlie Parker series is my favorite series of all time. In any genre. Perhaps because it doesn't fit neatly into any one genre. It's gritty crime novels with supernatural elements and a mystery that spans across the entire series." "John Connolly takes the reader kicking and screaming to places they probably didn't know existed . . . . If you love thriller mysteries with an air of the mystical, then you need to read A Time of Torment!" "John Connolly writes with his always superb, poetic prose, and its beauty is in wonderful contrast to the subtle, and sometimes not so subtle (one bad guy has dentures made of razor blades), horrors he describes." "It doesn't get any better than this. Seriously . . . . [A Time of Torment] shines and depresses, overjoys and frightens, from page to page, paragraph to paragraph, sentence to sentence . . . . you will want to go back to the beginning and read every word of this series, in sequential order, upon completion of this latest installment." "This eerie thriller has made a forever-fan of me . . . . You may write, and I may write, but nobody else will ever, ever be able to write like Connolly. Our story is part of the Charlie Parker series, but I have not read any of the others and found I was able to hop into this story as a single read with no difficulty." 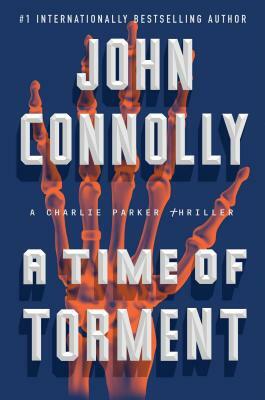 "Suspense fans won't want to miss Connolly's A Time of Torment. It's gripping and gritty all the way through."